We're coming up on the end of August. This year has been flying by. As I look at the calendar, I realize October is just behind September and that means, I only have a little over a month before PINKTOBER begins. For those of you who don't know what PINKTOBER is, it's the month dedicated to breast cancer awareness and just about every and anything you can think of becomes pink. 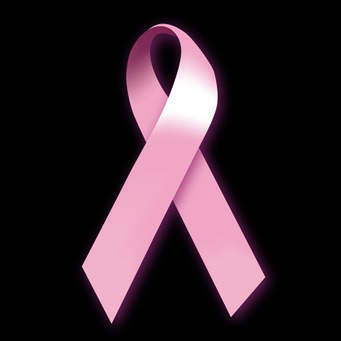 When I was first diagnosed with breast cancer, I was intrigued by the pinkness of breast cancer. I almost felt like I belonged to a secret sorority. Well meaning friends and family began to inundate me with all sorts of pink things and the infamous pink ribbon became symbolic to me. 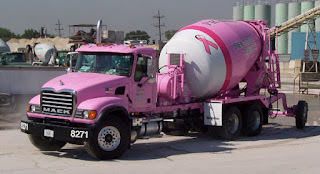 I was proud to sport anything with the big pink breast cancer ribbon on it. I felt it was my duty, afterall, I had cancer. As time wore on, I began to tire of all the pink and now that it's been a little over two years since I was diagnosed, I honestly hate pink. I'm already dreading October and it used to be one of my favorite months. It signaled the arrival of the Fall season and all that comes with it. Hayrides, pumpkins, hot apple cider, cooler weather...all those things that make you feel so alive but then PINKTOBER had to come along and ruin it. Those newly diagnosed with breast cancer may become enamored with pink as they begin their journey with cancer. It's easy to fall into that media trap. Signing up for those Susan G. Komen 5Ks and buying all that breast cancer paraphernalia just kind of seems like the right thing to do but is it really? I did a lot of research at the end of last year and found out not much money raised by those cancer organizations actually go toward cancer research. Most of the money raised goes toward salaries and administrative fees. As my naive little eyes were opened, I got upset. Why was something so traumatic being so commercialized? For those of us who've gone through the struggles breast cancer brings, we know there is nothing fun or light-hearted about cancer. The only thing good that comes from the color pink as it relates to cancer is the recognition it's received. Just about everyone knows pink symbolizes breast cancer. 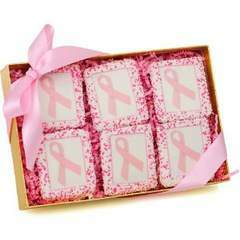 According to the Susan G. Komen Foundation, " a pink ribbon symbolizes breast cancer awareness. The merging of ribbon and symbolism in the United States came about in two huge leaps. The first occurred in 1979 when a wife of a hostage who had been taken in Iran was inspired to tie yellow ribbons around the trees in her front yard, signaling her desire to see her husband come home again. Step two occurred 11 years later, when AIDS activists looked at the yellow ribbons that had been resurrected for soldiers fighting the Gulf War and turned the ribbon bright red, looped it, spruced it up and sent it onto the national stage during the Tony awards to represent those affected by AIDS. The stage was set for the evolution of the breast cancer awareness ribbon. 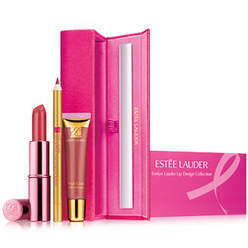 Susan G. Komen for the Cure® has used the color pink since its inception in 1982." I understand the good things Susan G. Komen and other organizations are trying to do by bringing awareness to cancer's horrible and far reaching grasp on women all around the world, but I can't stomach any more pink. It's gone from good to bad to ugly now. There are pink shirts, hats, socks, underwear and even toilet seats. Not all cancer survivors may feel as opposed to pink as I do to all of these random pink items and the illustrious PINKTOBER. Maybe I've become jaded as I've been plunged into this sea of pink but please (and I'm borrowing this slogan from the website by the same name) think before you pink, people. Not all of us like pink. In fact, some of us hate pink and for good reason.